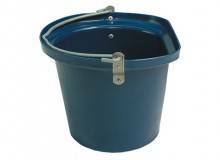 Heavy duty stable bucket fitted with steel eyelets & handle. Suitable for mounting against a flat wall or post. 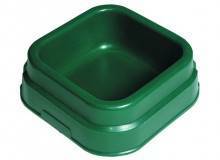 This feeder allows the horse to feed in a natural grazing position which slows feed consumption and reduces irritants. 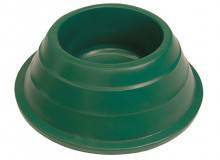 Designed with an outer base rim to stabilise and prevent tipping. Manufactured from tough impact-resistant polyethylene this feeder allows the horse to feed in a natural grazing position which slows feed consumption and reduces irritants.